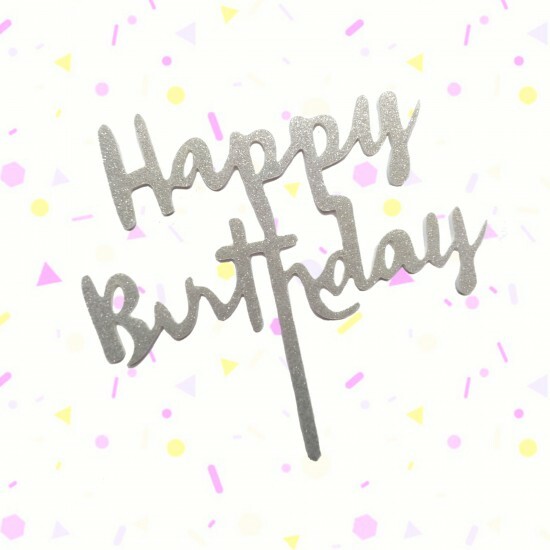 Glitter acrylic topper in our popular Happy Birthday design! Glitter on the front side only, fully sealed so will not shed onto your cake. First Birthday 'one' glitter cake topperThick card stock - glitter on the front only5" wideAn affordable alternative to acrylic toppers, these modern ..
Flo-Coat turns water into oil! By adding Flo-Coat to the chocolate, it will allow you to use any one of our Soft Gel Paste Colours to give you a r..
Caketastic Sugar Strands - Carnival MixCrunchy sugar strands, also known as jimmies. A mix of white, pink, blue and yellow to add colour and text.. Custom Name Glitter Cake Topper An affordable alternative to acrylic toppers, these modern designs will really take your cake over the edge!5" wide.Al..